B.C. WAGES NOT KEEPING "UP"
This is rich. No, I mean it. This is rich - for Olympic organizations. Don't be surprised to hear that ferries and terminals are going to become licensed Olympic sales centers -- floating podiums to sell hats, buttons, t-shirts, and probably Olympic food. If it happens local SMBs will once again be edged out of the five-ring loop. I smell protest. Have you noticed recently that the police chief and local media are doing a good job of frightening us regarding all the crime in our region? It's no accident and it doesn't have as much to do with the upcoming mayoral election as you might think. There is a bigger picture. It's a tactic that all police forces and mayoral offices use to increase funding for the Olympics. First you scare the kid into thinking there is a terrible monster under the bed, and then you offer a solution - for a price. It starts innocently with "gentrification" and cleansing of marginalized neighborhoods. Everyone feels good about removing the blight. Hmm, I love that "gentrification" word. As Seinfeld would say, Salsa, it just feels good to say it." If the Games weren't coming to town you can bet we'd be trundling along like we always have, but now that the world is coming to our doorstep we have to put on our best business attire. And considering we've gone overnight from have-not to overblown confidence we're going to have to shop for some new duds. The stuff hanging in the closet is a little ragged and dated. I'm not complaining about the prospect of improving neighborhoods and making some parts of our region more civilized because it is long overdue, but the three-card monte used to shuffle money around and not claim it as an Olympic expense peeves me. If money is going to be spent to improve the region relative to the Games, then it should be invoiced accordingly and not sold to taxpayers as something that would be done even if the Olympics was not coming to town. You should be concerned because if improvements are made as an Olympic expense then Olympic money will pay for it, which means it could come from sponsors or federal coffers. If Olympic organizations insist that it has nothing to do with operating the Games then local taxpayers and SMBs pick it up. That's a pretty good reason to pay close attention to who is scaring you, and why. John Furlong, CEO VANOC is at it again. Saying one thing, but doing another. Furlong claims he doesn't want to come across as heavy-handed, but once again businesses accuse him of bullying. The difference this time is that Furlong is at least picking on someone his own size. If you recall, the last time VANOC was accused of bullying it was targeted at the Olympia Restaurant on Denman Street and its co-owner Mosi Alvand. This time it is ESSO Canada and, wait for it ... Hockey Canada. It seems that Furlong and his bastion of lawyers do not want Canadian businesses to refer in even the most casual way to the Olympics. Apparently VANOC thinks they can promote and pay for 2010 on their own - without the support of Canadians. That's an odd assumption considering the Olympics needs tens of thousands of volunteers to make this work, not to mention federal, provincial and municipal tax dollars. The resounding message from Furlong is, VANOC will do this, and we will do it on our terms. Either you are with us, or against us. The people lining up behind Furlong are wealthy corporations that pay multimillions of dollars to monopolize Olympic Spirit. Interestingly though, the "You are against us" line is made up primarily of small and midsize business owners, and it is quickly getting longer. In the past, Olympic Spirit was a commodity reluctantly financed by taxpayers and small businesses, but profited from mostly by large corporations. Thankfully that dynamic is changing. Today taxpayers and small businesses have more control. Some of the smart ones are even reaping the rewards. Furlong is pretty slick in how he referred to what he perceived to be the problem. He called Esso Canada (Imperial Oil) "Olympic pretenders" instead of what he really wanted to say, "ambush marketers." Labeling Esso and Hockey Canada ambush marketers is outwardly confrontational, and accusing them of undermining Olympic Spirit by using the "ambush" word is not a good PR move. Still, Furlong forced Imperial Oil to back down by manipulating media into helping him intimidate the oil company. He tried it with Mosi Alvand at the Olympia Restaurant and it blew up in his face. This time it worked for Furlong because people don't like big gas companies they way they like Mosi, plus the Olympia Restaurant was there first. VANOC thinks Esso and Hockey Canada engaged in ambush marketing. Well big deal. Everyone does it. Hosting the Games is a lot of hassle to put up with for the Vancouver / Whistler region and our small and midsize businesses. Especially considering that it will cost taxpayers and SMBs dearly. For starters ask the SMBs on the Cambie/RAV line what they think. The Olympics should serve everyone, not just the players who can afford to ante up 60 million smackers or more. If you haven't seen the Esso ads (and you probably won't if you haven't already because the contest prize has been modified) you're going to be surprised when you see that the manufactured hullabaloo was all about Esso's patriotic slogan, "Cheer on Canada" and the chance to win tickets to see Team Canada play in Torino during the 2006 Games this February. That's it. Nothing more. No interlocking rings, no torch. Furlong is basically saying, "Heh, shut the hell up. This is my game and you get off the ice. You are not invited to participate in Olympic Spirit unless you pony up a minimum of 60 million dollars. Furlong yelled loudly behind corporate doors through a megaphone of corporate lawyers. When that didn't work he used media to embarrass Esso into backing down. He also very astutely muddied the waters to draw the public's attention away from the petty legal issue, which was that Esso was using Olympic tickets as a giveaway. Does this mean that if a company buys a car to give away as a grand prize they can't do so without the permission of GM, what about an iPOD or a trip to Cozumel? According to media reports Esso quickly adjusted the contest in order to comply. Adjusted is an understatement. I called Imperial Oil's media relations department on November 7, 2005 at 3:00 pm Pacific time and spoke with a lady named Emilie in New Brunswick. We searched together online for an official notice on both the Esso and Imperial Oil websites, but to no avail. When we couldn't find anything she read to me an internal memo stating that Esso had pulled the promotion and all reference to Torino. In place of the grand prize is now a $55,000 cash award. All I can say is wow, nice slap in the chops John. Not just anyone can so smartly intimidate an oil company. I bow to you. Here's how he did it. In an effort to garner public sympathy Furlong first turned the petty issue from using Olympic hockey tickets as a prize into one of Esso attacking the welfare of poor athletes. It's common for Olympic organizations to drag their elite athletes front and centre and leverage them as iconic spokespeople when they need to manipulate the masses. Just like clockwork Olympian Mark Tewksbury stepped up and pleaded on behalf of defenseless athletes in Canada. Furlong knew it was important to convince us that VANOC is the great defender of oppressed athletes. The reality is that Olympic organizations do not support athletes as much as they would have you believe. Olympic organizations of their own admission favor elite athletes as evidenced in a recent statement from Furlong when he said to amateur athletes, "if you DO NOT win gold, you are empty handed" which implies ... you have nothing -- you are a loser. Imperial Oil spokesperson Gordon Wong was quoted saying he is "surprised and disappointed" that Furlong made such a heavy-handed attack on Esso. The statement also came from Richard Farrell, external relations manager at Imperial Oil who added they would have preferred a more diplomatic approach. 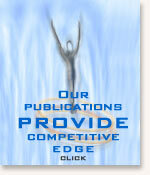 Large corporations leverage Olympic momentum regularly. 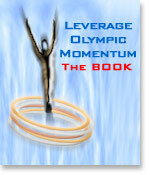 What Olympic organizations call ambush marketing, other members of the business world call leveraging momentum. For example one of the most memorable "leveraging" campaigns came from Nike when they said, "You don't win silver. You lose Gold." Boy do they have that right. The Mars chocolate bar company also did it and so did AMEX and Qantas Airlines, plus many more over the years. Even more recently, do you remember the Air Canada and Toyo Tire commercials that ran last summer during Athens 2004? Air Canada ran a sports-related ad on television featuring synchronized swimmers and at the end of the spot in barely legible typeface they said, "We are proud sponsors of this broadcast." Have you ever seen synchronized swimmers associated with anything but the Olympics? Brilliant. The tag line "We are proud sponsors of" draws people into finishing the line with "the Olympics." TOYO Tires also had a tag line at the end of a television spot that said, "Proud sponsors of the Canadian Track and Field team". Gotcha again. Because the ad ran during the 2004 Games in Athens viewers mistakenly assumed it was Olympic related. It is a fine art. Even the Vancouver Sun got into the game last spring with SUNRUN 2005. In the heat of Olympic frenzy they used a 2005 logo with interlocking different colored "00's" between the 2 and the 5 and a picture of running athletes to represent the run. Do you also remember the Telus campaign in the spring of 2005 with the Toucan bird holding a gold medal in its beak? The accompanying slogan was, "Turn Paper into Gold." This campaign was launched when it was announced Bell won an Olympic sponsorship bid. Talk about leveraging Olympic momentum. Everyone is doing it. Regarding the Nike Silver/Gold slogan, here's an excerpt from my book about leveraging Olympic momentum that explains in more detail what transpired . . .
"Many small and large companies over the years have recognized the potential of marketing momentum and have sometimes too brazenly resorted to ambush marketing. Most of the time, if it's planned properly it works better than most companies expect, but occasionally ambush marketing backfires too, so you have to be careful. Nike found itself against the wall when they developed a campaign with the tagline, "You don't win silver. You lose gold." What a brilliant slogan! It summed up Olympic greed succinctly. Understandably, the IOC thought it was an inappropriate slogan to use during the Atlanta Games and they pressured Nike to pull the ad. Nike refused, but there was nothing the IOC could legally do to stop them so they resorted to embarrassment. The IOC threatened to hold a press conference and invite silver medallists to attend and tearfully ask why Nike would devalue their life's dream. Nike backed off. They had the right idea, but the wrong execution. Attaching themselves to Olympic energy gave them visibility. Unfortunately they made the tragic mistake of doing it at the expense of struggling athletes. Nike soon learned to create campaigns that aligned themselves favorably with the stars of the show (athletes). Smart move. It's also a move SMBs can leverage and one that gets them into the inner circle. Support your local athlete and they will support you. The difference today is that you can do it on your terms without the permission or help from the IOC or your local Olympic committee. Just do it - and do it online with the partnership of athletes. "You don't win silver. You lose gold." The irony is that the IOC promotes this exact climate and Nike opportunistically decided to leverage it. Nike simply stated the IOC version of the truth -- second place is the loser. Thanks to the IOC, only gold is worthy of merit and the big dollar promotion contracts that come with it. Thanks to the IOC does anyone today care who placed second or third? Does it really matter to anyone anymore that an athlete received a silver or bronze medal? What happened? Who skewed our perception of what it means to win or lose? It certainly wasn't the athlete or the sport fan. Was it media? Can we make media a scapegoat one more time? The only place to look is the IOC and their sponsors. Sponsors if you remember who are managed by shareholders." End of expert . . .
Unbelievably, one day after the Esso fiasco boiled over, Furlong, in an effort to gain public favor and manipulate the masses bought a full page color ad in the Vancouver Sun that stated, "This week, Bell's $15 million commitment to support our athletes in their quest for excellence demonstrates their leadership position in Canadian business and is an inspiration for Canadian athletes to go for gold. In this world of millisecond and millimeter differences between winning a medal and "going home empty handed", the science of sport technology plays a critical role." How's that John? Are you agreeing with Nike? "You don't win Silver. You lose Gold? Furlong's statement of "going home empty handed" implies that if you don't win a gold medal you are an empty handed loser. Nice John. Maybe we should get a few Canadian silver medallists together so you can tell them to their faces that you think they're losers. I'll call Karen Cockburn, Jake Wetzel, Barney Williams, Cameron Baerg, Thomas Herschmiller, Alexandre Despatie, Ross Macdonald, Mike Wolfs, Marie-Helene Premont and Tonya Verbeek to let them know where you want to meet. Next time you want to make a public statement maybe you should first run it by VANOC puppet master IOC President Jacques Rogge. Don't believe Furlong when he says he gallantly defends all athletes. It is clear after this statement that he puts Olympic sponsors and elite athletes first, ahead of the Vancouver / Whistler community, and especially the bulk of Canadian athletes. Local media must quit playing into his hands. Just because Furlong can afford to buy full-page ads in your publications doesn't mean you should sell it to him without at least running a parallel editorial that explains exactly what he's doing. Media has a responsibility to illuminate both sides of the picture. Most Canadians don't know it, but it cost Australian taxpayers $40 million per gold medal to own their podium. (In 2000 on their home turf they won 58 medals total including 16 gold, 25 silver and 17 bronze -- do the math.) Hopefully Bell and all the other corporate sponsors like RBC, Rona, HBC and most recently GM will pick up the tab so taxpayers and small business don't get stuck with it. How about own your home or own your business? BTW, according to reports issued by the Business Council of B.C. wages in our province have consistently grown slower than anywhere in Canada except Manitoba. We experienced a measly per capita disposable income growth rate of 11% while the rest of Canada averaged 20%. When disposable income growth stagnates as costs rise where do you think mortgage-strapped consumers are going to find money to purchase our products and services. If SMBs are looking for an incentive to leverage Olympic momentum this is it. Big businesses know the Olympic frenzy window is small and they act accordingly. Unfortunately, not many small and midsize businesses have figured it out yet, but they will. It's still a well-kept secret except in places like Sydney Australia where SMBs with the help of their Chamber of Commerce and councilors got a pretty good handle on it in 2000. They regularly put Olympic organizations in their place. The Aboriginal saga was the turning point. Australian Aboriginals weren't about to be taken advantage of or sold out and they expressed themselves very clearly through the "sorry" campaign. It changed forever how small players can impact and become involved in the Games. First Nation peoples in Canada should pay particular attention. It's hard to accept that suddenly Premier Gordon Campbell is riding to their rescue for no other reason than to be a good guy wanting to help out a race of people who've been insulted and ignored for decades. The timing is too coincidental. Personally, I could care less that the two overgrown VANOC / Esso lizards went head to head in a Japanese Godzilla fest, especially considering that gas is going up to $1.65 this week. (Just kidding. I wanted to see if you were paying attention. LOL . . . sorry, it's not funny is it?) It makes it hard to criticize Furlong when he's slapping a gas company around. It's like watching Ted Turner and Conrad Black fight. I'm cheering for both to get socked in the noggin simultaneously, but I really want Furlong to be taught the bigger lesson. He needs to learn that he can't continue to bully on the playground. Furlong may have bullied Esso into submission, but he has it wrong. Instead of making enemies of Canadian companies he should be working together with everyone big and small in an effort to see how the 2010 Olympics can be good for everyone, and not just his BIG BOX players. VANOC's first commitment should be to the local community, then Canada, and then to the IOC. I wouldn't mind it as much if corporate sponsors like Bell, Rona, HBC, GM and RBC guarantee to pick up the overruns we are already accruing, and if they also ensure that taxes and rents do not go through the roof as a result of the Games. But so far I haven't heard a peep from corporate boardrooms on this level, and historically no one in any other Olympic region has ever heard it either. What you do hear though is boasting from large sponsors about how they grow their visibility and in turn make billions of dollars profit off the backs of athletes and taxpayers. That's a given. NBC sold advertising to 4 billion viewers in Athens last year, while Greece careened into twelve billion dollars of debt. The reality of owning and operating a business in an Olympic region is finally starting to hit home for Vancouverites and Vancouvians. VANOC's first response in each case has been to bully, intimidate and embarrass, and unfortunately some media still foolishly provide them with a platform to do so. It happens in almost every single Olympic region. It is a formula. VANOC also knows that the more noise they make clashing with large corporations, the least likely small and midsize businesses will try similar marketing strategies. When the king of the castle makes a lot of noise and threatens to cut off heads it washes through the fiefdom like a tsunami. It's old school that worked well in pre-internet era, but those days are slipping away. My advice is, now that you know how they operate learn to leverage it. Here's the twist. Esso got the publicly they wanted; i.e. 1/ everyone in Canada was reminded or now knows Esso has supported Hockey Canada for over two decades; 2/ we all now know about the Esso Torino 2006 promotion; 3/ Esso looks like the good guy for acknowledging and backing off after making a silly little mistake; and 3/ VANOC defended elite athletes . . . everyone saved face and one of Canada's largest gas companies still looks good considering gas is going up to $1.65. LOL!